Forming a new and unique partnership, JT is sponsoring next month’s Year 6 Transition Programme at Les Quennevais School. This ensures that students arriving in September already feel part of the school family. All students who will be joining Year 7 in September 2018 are invited to a briefing at the school, with their parents, on Thursday 5 July. They will be formally welcomed by the Headteacher, Sarah Hague, and her team. 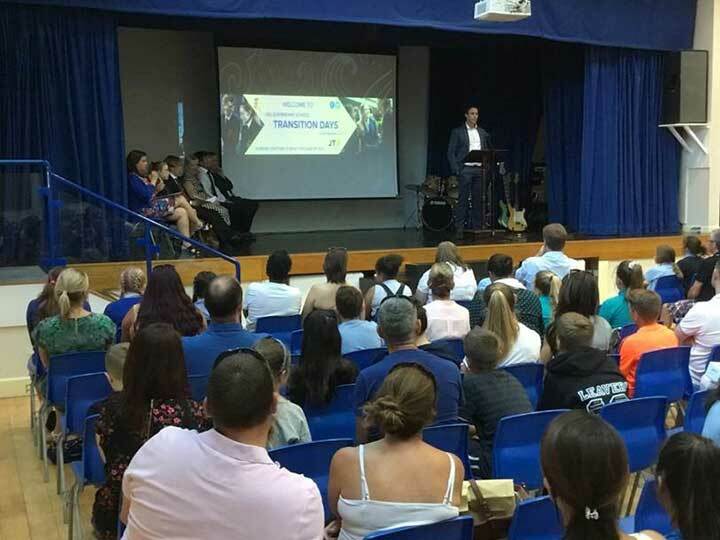 Part of the evening meeting with parents will be dedicated to an increasingly important part of school life today: the importance and understanding of e-safety. This is why Les Quennevais and JT have partnered to give parents and their children an insight into how to stay safe online. Tamara O Brien, Head of Customer Experience at JT said: “We welcome this new opportunity to partner with Les Quennevais School. As a responsible provider we have always taken our responsibility seriously in playing our part to help educate. We aim to enable parents and children to be aware of how to stay safe online. And provide tools and educational literature to help ensure children are made aware of the dangers which can exist. We also provide leading edge equipment to enable parents. They can stay in control of what their children are accessing to help protect them. At this transition briefing we will be demonstrating some practical ways to help. This includes the Haandle box, exclusive to JT, an affordable piece of technology which allows parents to control internet access. We also offer controls within the exclusive free JT apps.